Round windows are becoming increasingly more desirable. Architectural designers and well as homeowners are bringing in a new element in construction by having round windows. With round windows, the need for round window curtains has also arisen. These curtains are not only intriguing, but also playing a huge role in interior décor. If you are considering round curtains for your round window, then it is the right thing to do. Moreover, you are at the right place to get this type of curtains. To have round curtains perfectly fitted round the oval or circular window, you need the right tracks. Those tracks that will fit round this type of windows perfectly are the flexible tracks. There are made of aluminum metal or resin. Flexible tracks will take the shape you want. Moreover, they can be mounted to the wall or the ceiling. Regardless of where the round window is, these tracks can be fitted on both stone and wood. The items required to mount the track are not a problem; they are available in the track kit. Yes, the track kit comes with other additional elements like the curtain hooks, the end caps among others. How is the flexible curtain track mounted round the circular window? This is very easy and you don’t need a professional to handle the task. Actually, it is a DIY job. This does not mean if professional help is available you can’t use it. It simply means, you don’t have to incur and additional expense in mounting the track. There is a manual provided on how to go about the mounting process. Once the track is mounted, you can now fix your round window curtain. There are several types of curtains that can be used for round windows. They come in several textures, appearances, and they vary in price. 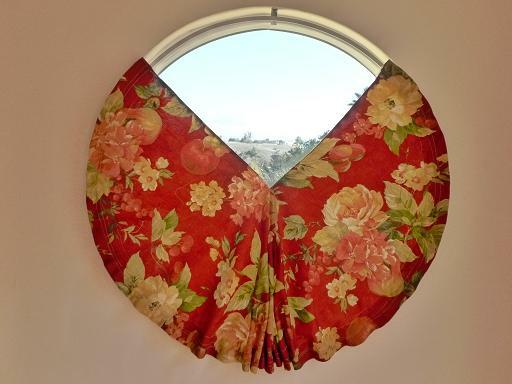 For more on the type of round window curtain you might need, contact theflextrack.com/magento shop now.